Marines with the 24th Marine Expeditionary Unit, or MEU, are slated to participate in one of the largest NATO exercises later this fall hosted by Norway, according to Marine officials. The exercise, dubbed Trident Juncture, is one of the largest for NATO in more than a decade and will feature nearly 40,000 troops, over one hundred aircraft and dozens of allied ships â" all in close proximity to the Russian border. But the extent of the 24th MEUâs participation is currently unknown. Marine officials cited operational security concerns and would not provide any further details. While a MEU participating in the large-scale NATO readiness exercise is not entirely a new concept â" the 26th MEU was involved in Trident Juncture 2015 â" the geographic focus this year on the Arctic high north in Russiaâs backyard adds to an alrea dy tense affair. 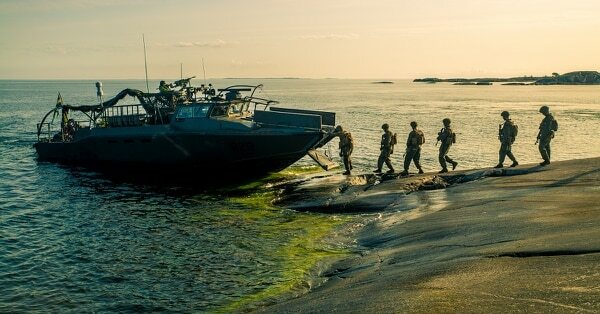 The possibility of thousands of Marines with the MEU pouring into Norway and carrying out amphibious operations is likely to draw the ire and condemnation of Russia. Norwayâs decision over the summer to double the Marine rotational training footprint in the Scandinavian country to a paltry 700 was met with intense scorn from Moscow. Russia decried the decision as a potential attack and warned of future consequence. However, the MEU is not part of the Marine Corpsâ rotational footprint in Norway â" which is currently in its fourth iterationâ" but its presence in the Arctic country for Trident Juncture will surely be felt. The Corpsâ footprint in the European high-north is small albeit an important one. The Marines have been carrying out extreme cold weather training in the region, yet their small numbers have also been important in building diplomatic and security relationships with t wo nonaligned countries, Finland and Sweden. The two non-NATO member Nordic countries have slowly been increasing their security relationship with the U.S. following Russiaâs invasion of Ukraine in 2014 and both are slated to participate in the upcoming Trident Juncture exercise. In the spring, the Corps sent its main workhorse tank, the M1 Abrams, to Finland for the first time to participate in a large-scale armor and mechanized exercise known as Arrow 18. And currently a handful of Marines are training with their Swedish counterparts in raids and amphibious operations. Analysts contend the Corpsâ mission in the region is largely deterrence against any Russian military moves toward the Baltics and high north. While the Corpsâ presence is small, the Marine Corps has been storing gear in a series of caves known as the Marine Corps Â­Prepositioning Program-Norway, or MCPP-N. The prepositioned gear can support a Marine Air-Ground Task Force comprised of an infantry battalion and requisite squadron air support, roughly the capabilities of a MEU. That concept may be put to the test with the 24th MEU headed for Trident Juncture this fall.